P. Cornelius P.f. 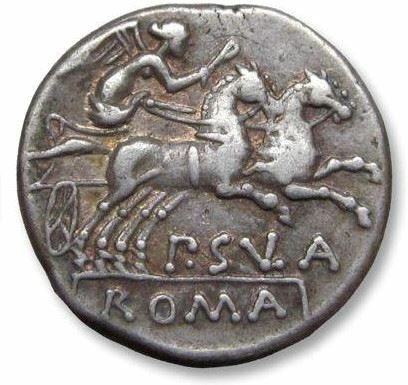 Sulla was one of the moneyers for the year 151 BC. He is not otherwise known. A descendant of the Cornelii Rufini family was the first to assume the cognomen Sulla, about the time of the Second Punic War. The name is probably a diminutive of Sura, a cognomen found in several gentes, including among the Cornelii Lentuli, and probably referred to someone with prominent calves.